Design Intervention & IA Construction were born out of a passion for design and customization of a home to be specific to each individual client. Every person and family is unique. The way each of us uses our home and desires to use our space is very different .Using an artistic eye for aesthetically pleasing design with the best and most sustainable building standards to achieve a living space that reflects all that our client’s desire within their budget. Our goal is to have their home reflect the vision that they have locked in their “minds eye”. All of our projects are unique, we strive to have each project be a work of art created specifically for that client, not a cookie cutter approach. The clients that we work with are chosen to be a good fit for our process and very often hire us to do project after project. We are honored and humbled by the many repeat clients we have had over our 30 years in business. It is truly a partnership when working on something as personal and important as the home that you live in! We are a full-service construction and general remodeling company providing a wide range of contracting and renovation solutions. We Turn Houses Into Homes. Rellion, a premier builder, developer, and real estate investor in Southern California, help home owners to build their dreams. Saxony Design Build has been providing elegant and luxurious remodels since 1989, offering full service design specializing in residential interiors and exteriors. As the central coordinators for each client, they manage all phases of the design, working with the client to define their own lifestyle needs. Saxony offers professional and thorough design direction, budget and project management through completion. 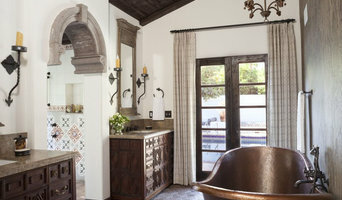 The co-owners of Saxony Design Build, Joshua Cain and Jeff Godbold, first met at a Pasadena Showcase House of Design years ago when they were both working on the project. Joshua doing interior design and Jeff a general contractor working for the estate's owner both quickly realized that by teaming together for clients, the design concepts coming from Joshua would immediately integrate with Jeff's expertise on costs and construction options to save the client time and money. Since that time, Saxony has been working with clients who want the full spectrum of options and creativity coming from one team along with centralized management and overall design build. Saxony's impressive client roster is proof of the confidence that Joshua and Jeff provide in their firms qualified approach to each project. "our design build services range from new construction to full remodels, kitchen & bath design, and room-redos to custom furniture, accessorizing, and staging. Our thought provoking designs are unique to each client's lifestyle and personality and we are able to create intimate spaces that are beautiful, comfortable, and highly functional". Julie Laughton distinguishes herself within her industry through her ability to visualize & her talent to draw. Julie can conceptualize the end result readily & always delivers top quality work. Hunter Construction Inc. is a full service Design-Build remodeling firm in south Orange County California with over 30 years experience in residential remodeling and commercial tenant improvements. If you’re interested in remodeling your home, well…you’ve come to the best place to start. We’ve been building additions, custom homes, custom kitchens and bath remodels in Orange County since 1967! 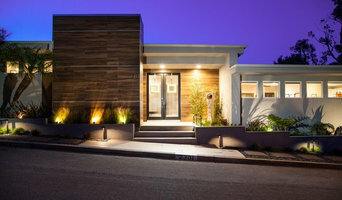 Collins Design & Development is a full service residential design-build firm based in Laguna Beach, California. We provide design services for both new construction and remodel projects. Using the finest craftspeople and materials available, we are reshaping the classic homes of Laguna one at a time! JDL has been exceeding expectations and fulfilling the dreams of homeowners throughout communities such as Newport Beach, Crystal Cove, Shady Canyon and Laguna Beach. Sea Pointe Construction is a Design-Build Firm. Design-build embraces architecture, engineering and construction services under a single contract, thereby re-combining the vital roles of designer and constructor. Sea Pointe offers this integrated approach to construction, enhancing cooperation between all parties involved, which ultimately maximizes each of the participant’s capabilities. When incorporating the Design Build construction concept, quality, cost and time are determined concurrently. We design your remodel with value engineering in mind. APlus has been a family-owned business for two generations. We take personal pride and pull from many years of experience to make every project amazing. Janet Eavenson, founder of Leonard Provence Interiors, is an Architectural Interior Designer specializing in adding value to small spaces. Trained and practiced in the uber high dollar property-market of London, England for 11 years, she knows the critical importance of not only maximizing the full capacity of square footage, but also in creating the illusion of INCREASED square footage, light and flow. Having lived and worked in 3 countries, she contributes a richness of international influence and expertise to each project she accepts. Leonard Provence Interiors majority of work encompasses large-scale Residential Rehab/Remodel projects, Rear Extensions, Kitchens & Bathrooms. All projects are accepted and developed through close client consultation with the priority on developing long-term partnerships. In creating a design that is beautiful, functional and fulfills your design goals. We will handle all the details, from design to plans to construction. Do It Right Remodeling was founded by brothers Aviran and Edan Bar-Lev in 2006. 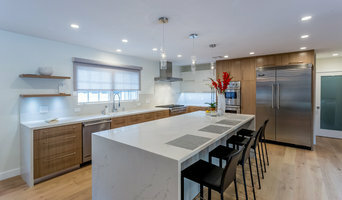 Specializing in Room Additions, Kitchens, Bathrooms and Complete Home Renovations the demand for perfection, polished approach and unparalleled trust has made Do It Right Remodeling an immense success. The brothers and partners of DIRR will transform your imagination into a seamless reality. We are a full-service interior design firm that specializes in custom kitchen and bathroom remodels. We create spaces that are functional, efficient and truly a statement of your individual style. Waconah Construction builds custom homes and remodels homes and condos in Santa Monica, West LA, Pacific Palisades and Venice. Orange County Experienced Design-Build Firm | Best of Houzz 2016-2018! Using our design/build model, projects are taken from conception through completion with one company, resulting in faster project time and minimizing cost and stress to the client. For more than 27 years, we have specialized in whole home remodeling with an emphasis on kitchens, bathrooms and additions. As a fully-licensed contractor, designer and builder, Belle Hampton is fully qualified to construct your commercial or residential architectural plan to specification. Our motto is 'We Build Livable Art.' Whether you need a simple paint job at your office space or a fully customized home, we can execute your project. In addition to residential and commercial property owners we also work with other real estate investors who need design & rehab expertise. Our professional full time staff oversees the management of labor and materials from start of project to final cleaning. With multiple homeowner clients and commercial clients such as Cedar Sinai, we have the expertise to execute the below services: Design, Engineering & Architecture, New Construction & Additions, Permitting, Inspections, Escrow & Title Services, Insurance Management, Demo, Framing & Drywall, Flooring & Tile, Roofing, Electrical, Plumbing, Cabinets & Counter-tops, Landscaping, Decks and Balconies, Painting, Fencing, Foundation Repairs, Layout & Interior Design, Photography, Windows, Pool and Spa construction, HVAC and More. We are a fully-licensed residential contracting company specializing in custom kitchen remodeling, bathroom remodeling, room additions, and new construction. Design-build firms take on the responsibilities of architects, contractors and construction companies, all under one roof. These full-service firms focus on a streamlined design-build process — from the initial design to the estimating phase to physical construction — in the hope of creating an efficient experience for both the client and the company. Because the entire project is happening within one company, Laguna Beach design-build firms are able to overlap the design and construction phases of the project, which often speeds up the project significantly. In addition, these firms work to minimize risks for the project owner through single-point responsibility contracts. However, depending on the firm, you may still want to contact an interior designer or architect to help create the exact look you want. Here are some related professionals and vendors to complement the work of design-build firms: Interior Designers & Decorators, Landscape Architects & Landscape Designers, Architects & Building Designers, Photographers. Before deciding on a residential design-and-build company in Laguna Beach, CA, think about what you want from your new home. Do you want a large kitchen for entertaining? Do you need several bedrooms for children and guests? Do you want a finished basement for extra space or storage? 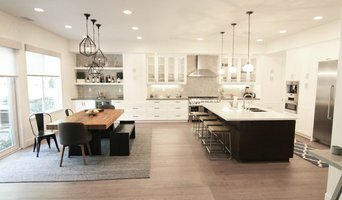 Look for Laguna Beach design-builders that specialize in the areas you're looking for. Budget is obviously a determining factor in the outcome of your project. To make sure you stay within your means, consider making a must-have list and a wish list. Gauge where the estimates are falling to determine which design-build contract can realistically strike the balance between the two. Find a Laguna Beach design-build company on Houzz. Narrow your search in the Professionals section of the website to design-build firms in Laguna Beach, CA. You may also look through Laguna Beach, CA photos to find a pool you like, then contact the design-build firm that created it.